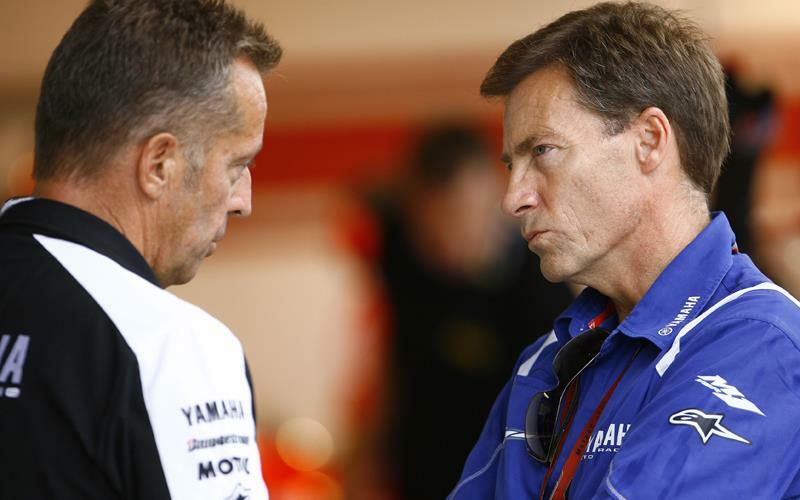 Yamaha MotoGP boss Lin Jarvis has denied a final decision on James Toseland's future has been taken. Although it seems certain World Superbike star Ben Spies has agreed to join fellow Texan Colin Edwards in the Monster Yamaha Tech 3 team next season, Yamaha management are remaining tight-lipped on Toseland's future. Jarvis said clarification on British rider Toseland's future would be released imminently, with Spies opting to enter the MotoGP world championship a year in advance of his original intentions. Speaking exclusively to MCN, Jarvis said: "We are still in the process of organising next year. "Ben signed a two-year deal and at this moment it is still for World Superbike in 2010 and MotoGP in 2011. "But there is a possibility that he might make the switch and I would say that clarification will come sooner rather than later. "With regards to James' place, we have so far only been able to confirm Colin (Edwards) in the Tech 3 team. James' space indeed does become uncertain if there was a scenario where Ben would make a move to the Tech 3 team." Jarvis should that Spies' decision to ride a YZR-M1 machine in 2010 could potentially open the door for Toseland to replace him on a factory R1 in WSB next season. "If Ben did decide to move to Tech 3 then we would certainly consider James very seriously for the World Superbike team, "he added.